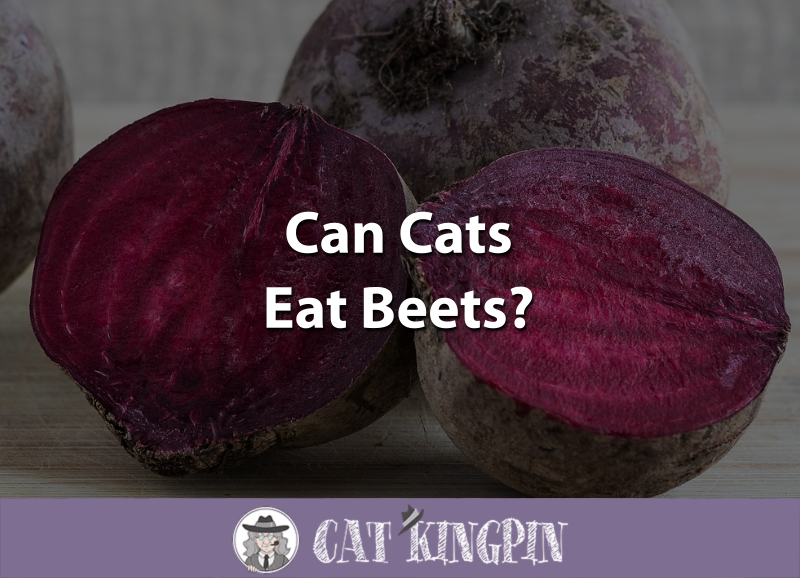 » Can Cats Eat Beets? Beets were one of the foods I hated when I was a kid. As an adult, beets still aren’t my favorite, but I do enjoy a good bowl of cold borsch or the occasional beet salad from time to time. You may be wondering if beets are a healthy snack for cats. Can cats eat beets? For the most part, beets can be a fun treat for your cat, but they really shouldn’t be the main part of your cat’s diet. It’s like Jello for humans. May have a good taste, but practically no nutritional value. Beets are a root vegetable of the Beta vulgaris plant. While most people talking about eating beets are referring to the beetroot, beet leaves, or chard, and beet sprouts are also commonly consumed. Besides being eaten directly as a vegetable, the deep-red juice of the beet has been used as food coloring, and certain cultivars of sugar beets are boiled down to produce table sugar. Beets are considered a healthy food for people, containing significant amounts of the important nutrients folate and manganese. Yes, your cat can eat beets! Beets can be a tasty and fun treat, assuming your cat is interested in them. But many times they won’t be, it’s like fennel for humans. The taste for it just isn’t there, they either love it or hate it. Just don’t be surprised if they don’t actually eat beets. Since cats are meat eaters, many will just play with it or rip it apart, leaving a purple mess for you. Kittens are more susceptible than adult cats to most things because they’re tiny and not yet fully developed. Though rare, any pathogens contaminating beets are more likely to affect a kitten than an adult cat. Similarly, kittens could be more sensitive to the bloating and laxative effects from the fiber in beets. This could cause abdominal discomfort and diarrhea, possibly leading to dehydration and a trip to the vet. Instead of beets, why not try giving your kitten a healthy kitten food like Blue Wilderness Kitten? This type of food has everything your kitten needs to grow up big and strong without giving them anything that could cause harm. While beets are usually a safe snack for your adult cat, they won’t benefit much nutritionally from eating beets. This is because cats are obligate carnivores, which means all they really need to eat is meat. However, beets are a good source of vitamin B9, or folate. 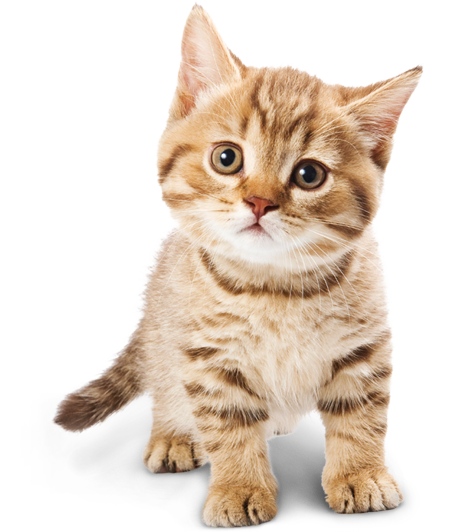 Though uncommon, cats and kitten can be deficient in their blood folate levels. While vets are not 100% sure what cause folate deficiency in cats, it’s thought that exposure to certain chemicals could be the culprit. If your vet discovers your cat has low folate blood levels, you might ask if beets would be a good supplement to their diet. On the other hand, beets contains significant amounts of fiber. In humans, these indigestible carbohydrates can cause bloating and flatulence. Additionally, while beets are not considered toxic to cats, they can become contaminated with foodborne pathogens. Listeria monocytogenes, E. Coli, and Pseudomonas are some of the species of bacteria that have been found on beets or beets sprouts. Though unlikely, in severe cases, life-threatening septicaemia and endotoxemia may develop and infections could spread to different organs causing pneumonia, meningitis, and miscarriage in pregnant cats. To be safe, make sure you thoroughly wash beet stalks and sprouts, and cook beetroots, before giving them to your cat. There are many healthy alternatives to feeding your cat beets. If you really want your cat to have plant nutrition in their diet, try a cat food that is formulated with plants that meets the feline’s specific nutritional needs. Nutrish Natural Dry Cat Food contains beets along with real chicken so your cat can eat a healthy and balanced diet. You can also try offering your cat some cat grass. Unlike regular grass, this is safe for cats to munch on, so it’s a great way to add some greenery to your home that your cat can safely eat. And even if you have a kitten, adult cat food is more nutritious than a beet. So, can cats eat beets? Now you know that cats can eat beets, though many cats might be more interested in playing with the leafy part of the plant than eating the root. Wash the beet stalks and sprouts thoroughly before giving them to your cat. Wash and cook beetroots before feeding them to your cat. Give beets to your cat in moderation as too much could cause your cat to have indigestion and loose stools. If you want to incorporate vegetables into your cat’s diet on a regular basis, consider a high-quality cat food like Nutrish Natural Dry Cat Food, which provides all the nutrients your cat needs. What did you think of this post? If you have any questions or would like to share a story about your cat and beets, please tell us in the comments below! We’d love to hear from you.